Tuesday was a stress. fest., let me tell you. I could only do the most basic and menial of tasks at work all day because anything that required actual brain power was not an option, given my anxiousness over the Chicago Marathon lottery. Realistically, I had no reason to be so bent out of shape over the lottery, as I had access to a race entry regardless of what happened with the lottery, but for me, it was SO important to get in via the lottery. I know it’s kind of silly, but to me, getting in through the lottery means that I’m ~supposed~ to run this race. I definitely believe in fate (or providence, as my delightfully Calvinist mother prefers to call it 😛 ), so having fate decide that I should run the marathon rather than having me decide that I should run the marathon makes it feel more…predestined, if you will (okay, fine, I’m a Calvinist, too. Haha. It’s the West Michigan in me. I could give you a whole lecture on the five points of Calvinism, but I presume most of you don’t come here for my theological musings, so I’ll leave that for another time 😉 ). I had a LOT of trouble last year feeling like I cheated my way into the marathon by getting a charity entry, especially since, honestly, there aren’t really any charities in Chicago’s program that I feel OMGSOPASSIONATE about. And not feeling OMGSOPASSIONATE about a cause makes me feel like a scumbag when I’m all, “Hey, I’m mildly interested in this cause, but majorly interested in running the Chicago Marathon. Give me yo’ money!” It’s not that I’m necessarily against most of the charities in Chicago’s program, and I certainly believe in the work PAWS and the Organization for Autism Research do, but I guess because I don’t have a corresponding or relevant sob story (my dog came from my aunt and uncle’s neighbor, not a shelter; I don’t have any relatives with autism. ), I felt like a poser for asking people to give all this money to a cause that mattered, but maybe didn’t matter as much to me personally as I was felt like I needed to make it sound like it mattered. ANYWAY. I got in through the lottery. For the first time ever I’m actually paying to run the Chicago Marathon and paying for my CARA training, but that’s a-ok with me. Plus this way if something bad happens, I can defer my entry to next year, which is also a lot nicer than not being able to defer if need be. On a somewhat related note, I’ve been reflecting over my running career a lot recently. As far as I’m concerned, I started running about four years ago, and it boggles my mind to see how far I’ve come in that time. Four years ago, I didn’t know if I could run a 5K. Two days ago, I was literally dancing around my bedroom with glee over the fact that I got into the Chicago Marathon and will have the chance to run the race again this October. Distances that used to seem intimidating no longer cause me to bat an eye, and I can’t fathom going out for a run of anything less than three miles, because it doesn’t even feel like a real run if I do less than that. I used to think I couldn’t possibly run three miles, and now that’s just another Wednesday (or Monday or Thursday or whatever). Since distance is less of an issue for me these days than it was three or four years ago, I’ve done exactly what I never thought I would do: I’ve started to care about speed. My ultimate (and, in the case of the past two weeks, literal) dream is to run the Boston Marathon, which I realize is a ridiculous thing for me to put out there, given that I have yet to have what I would consider to be a successful marathon, period, never mind a fast marathon. But I really want to BQ. Part of me wonders if I’m even physically capable of doing that, but then I read about all these people who used to be so slow, and then got so fast by training hard…. I don’t know. 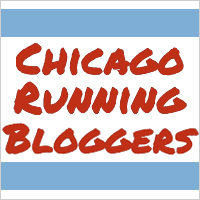 I think BQing for me is definitely an “eat the elephant one bite at a time” sort of situation, and I imagine there are a lot of bites in this metaphorical process – breaking 4:45 (I’d like to do that at Chicago this year, if all goes well), breaking 4:30, 4:15, 4:00, 3:45, then BQing. I’m obviously going to need to get A. LOT. faster to BQ, and I think it’s more logical to try to focus on more attainable goals (running a 10K at BQ pace, then running a 15K or half at BQ pace) first before getting all obsessed about running a marathon at what is right now closer to my 8K pace (LOLOLOLOLOLOL send help. I have too-high ambitions.). I have no expectations of BQing this year at Chicago – not by a long shot. This is more of a 5-10 year plan sort of thing…but who knows what’ll happen in my life over the course of 5-10 years. Ah, the great unknown future! But that’s what’s on my mind these days in terms of running. 2. I spent last Sunday afternoon at Maggie’s place with a few other ladies for one of my all-time favorite concepts: a clothing swap! Anyway, I hate spending money on clothes, so this sort of thing was right up my alley. Look at all my pretty new things! I’ve been wishing lately that I had more spring-y scarves: boom. Acquired. In looking at my nail polish on Saturday, I realize everything I own is some variation of dark red or pink: no more! Welcome to the lineup, shimmery lavender. My tank top collection was rather limited: I legitimately doubled it in size. AND to top it all of, I finally got rid of clothes I bought in, you know, 2010 that still had the tags on them. They needed to go, and now they’re gone, along with a bunch of other junk taking up precious real estate in my apartment. Best afternoon ever. Favorite breakfast food? How many times have I asked this question on this blog? Probably a jazillion. Congrats on getting in Chicago! Also, you have a great long term perspective on your running goals (i.e. BQ strategy). Too often, people want immediate, bit gains and then burn out or get injured then get a six month (or longer) setback. Thanks! Definitely made my day on Tuesday 🙂 I’ll admit that I really want to BQ rightnow, but I know hoping to do that is setting myself up for failure, or worse. Slow and steady will hopefully work better! Wait so the clothing swap idea is genius. I need to do that. I just need to find friends here who are close enough to my size and that are interested. Who doesn’t like getting free clothes? I’m so tired of my wardrobe. It needs a major overhaul. And as for the marathon- wooooooooo!!!!! I know what you mean by feeling you like you’re “supposed” to be in it. That’s how I feel about Boston. Sure, I could run as a charity, but I want to qualify. I want to feel like I deserve to be running it. I think you have made so many huge improvements in your running that it is definitely possible to cut off a significant amount of time to get that BQ! In some ways, I think staying healthy is the hardest part, and if you can do that, you can do anything. Right?! I was so excited when I got invited, because something like that is RIGHT up my alley. I’m 100% with you on Boston. I would feel like such a poser if I got in through charity to Boston. You gotta earn that! So exciting! I spent all day on Tuesday refreshing Athlete Center, only to check it again at the gym at 6 pm to see “Not Selected.” Definitely disappointed, but as you said, it’s fate. I had already gotten into the Marine Corps Marathon, so I’ll be running 26.2 miles again this October! I’m in too!!! I got in through time qualification, decided no, then apparently was entered into the lottery since I didn’t register with my time qualification, and unexpectedly got an email Tuesday morning that I was accepted. So, like you, decided it was fate and I should just do it! Hooray! In your case, I’d definitely say it was fate. Hopefully that means you’ll have an awesome race in October! Congratulations on getting selected for Chicago! When I ran it in 2012, I did NOT want to have to worry about fundraising. It’s enough just to focus on training! YAY for clothing swaps! Best idea EVER. BTW – I tried out the heartrate monitor that I got thanks to you, and it’s very cool! My favorite breakfast food is an omelette with lots of veggies and cheese! Also, smoked salmon and whole-wheat pancakes (not together) get a huge thumbs up from me! Seriously. I mean, don’t get me wrong, fundraising is a great thing to do, but man, I do not need that additional pressure again this year. Congrats on getting in the lottery!!! Great news!! !